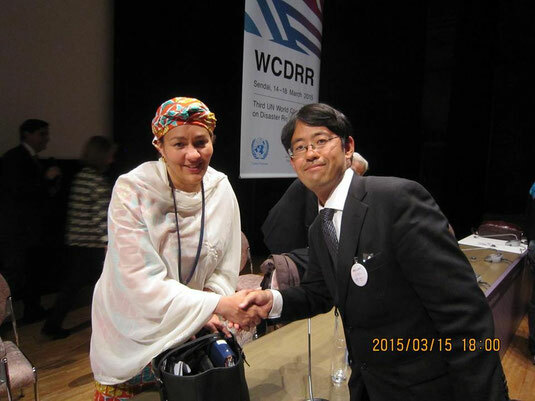 I am really honored to see Dr. Amina, Special Advisor to Secretary-General of UN, again since last June. I can share my concern on corruption and rampant of violent in informal sectors of Africa with her. She is so wise and heart-warming to me!! Dr. Helen Clark, UNDP Administrator appeared in the working Session, "Reducing Disaster Risk to Alleviate Poverty." She is one of the powerful woman leader thaat I have ever faced. The conclusion on the discussion is that Localizing implementation capacity is a key to handle such issues because it is the local authority to face the challenges directly. The 2nd Day is still inspiring us so much!